On Thursday, Chopper 5 surveyed the damage after Tropical Storm Bill moved through North Texas. 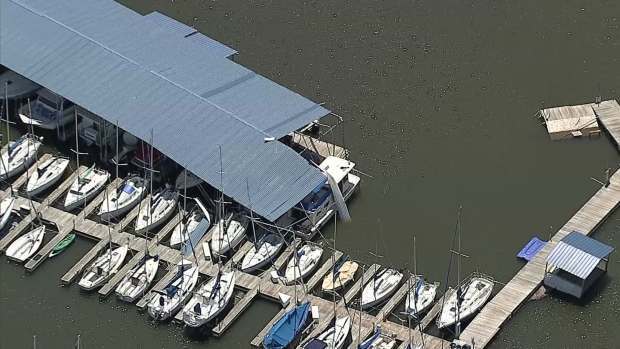 Many boats were damaged at marinas on Lake Lewisville and Joe Pool Lake. Chopper 5 also flew over the flooded ball fields at Grapevine Lake and California Crossing, which is notorious for flooding during heavy rain. The Trinity River is full once again and slope failures have been reported along some North Texas roads. Boats and docks damaged on Lake Lewisville can be seen in the player above, you can see all of the rest of the videos below. Chopper 5 shows boats and docks damaged at Lynn Creek Marina on Joe Pool Lake. Chopper 5 shows many damaged boats and docks at the Joe Pool Marina on Joe Pool Lake after Tropical Depression Bill moved through North Texas. 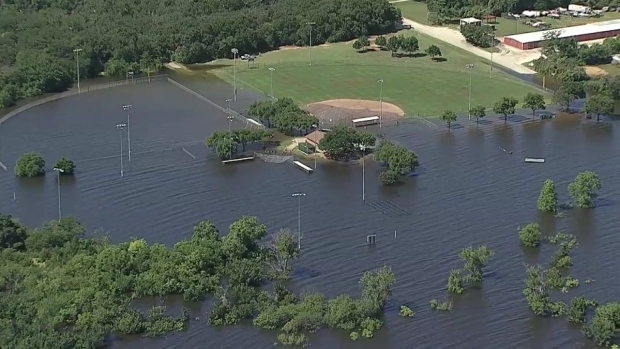 Chopper 5 shows the damage to baseball fields at Oak Grove Park on Grapevine Lake. 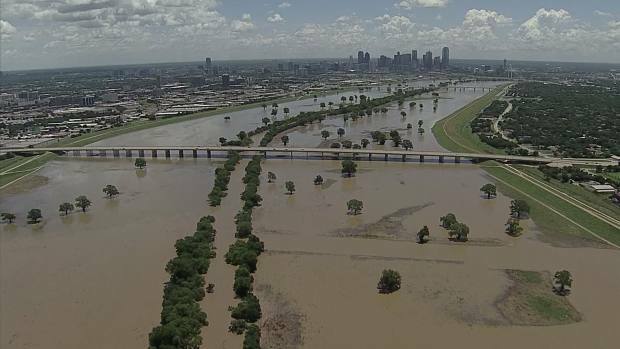 Chopper 5 surveyed the Trinity River on Thursday, June 18, 2015, one day after Tropical Storm Bill rolled through North Texas. 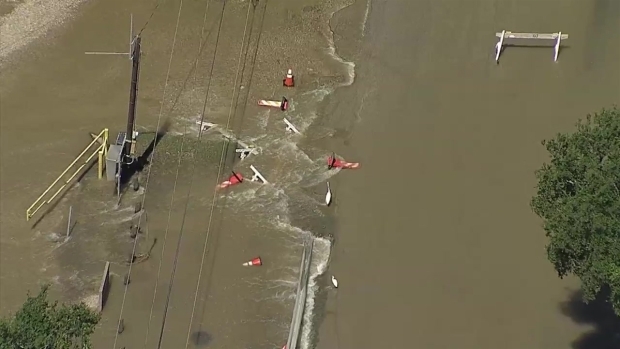 Chopper 5 shows California Crossing at Luna Road in Northwest Dallas, where the road is flooded after Tropical Storm Bill moved through North Texas. 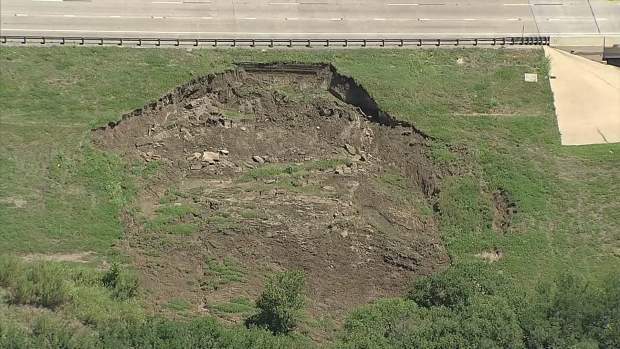 Chopper 5 shows erosion of the slopes along Interstate 30 and Loop 12.